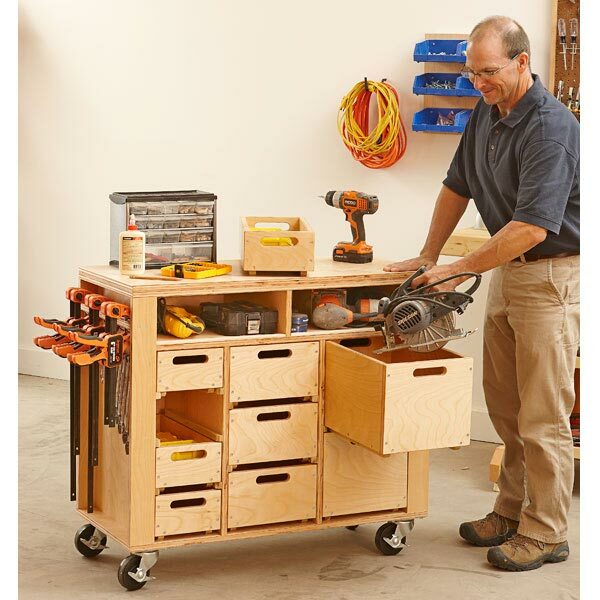 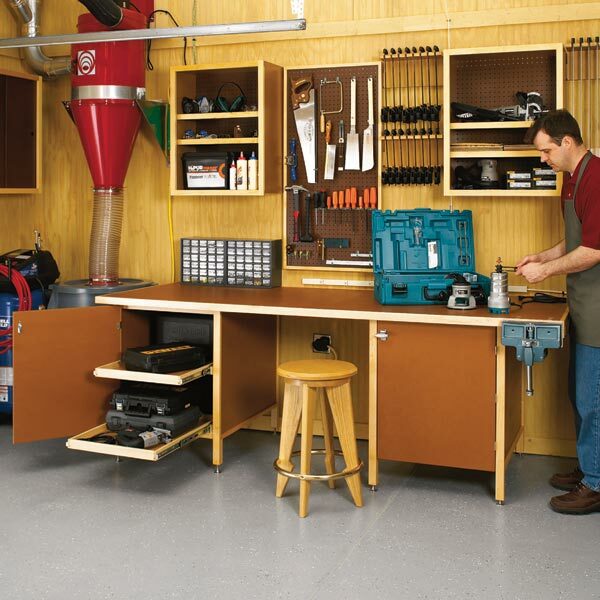 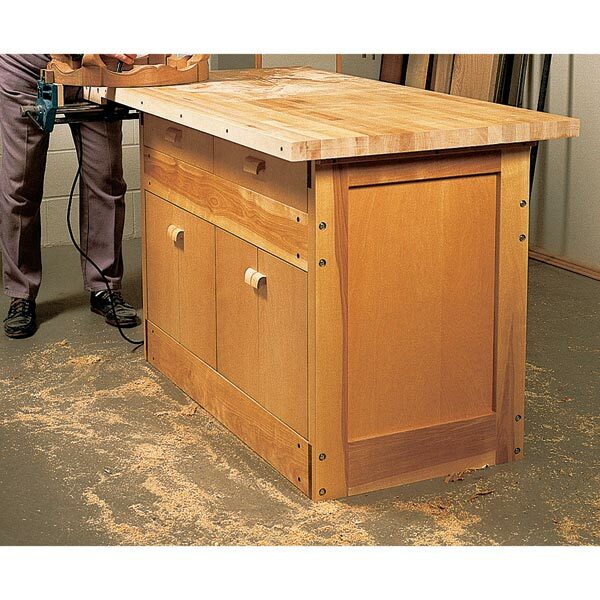 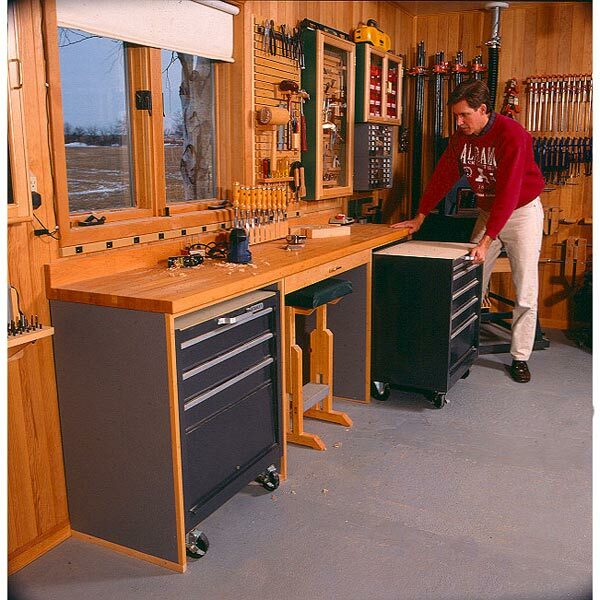 Every shop needs a workbench, but there's not always sufficient room for a dedicated surface large enough to build furniture projects. 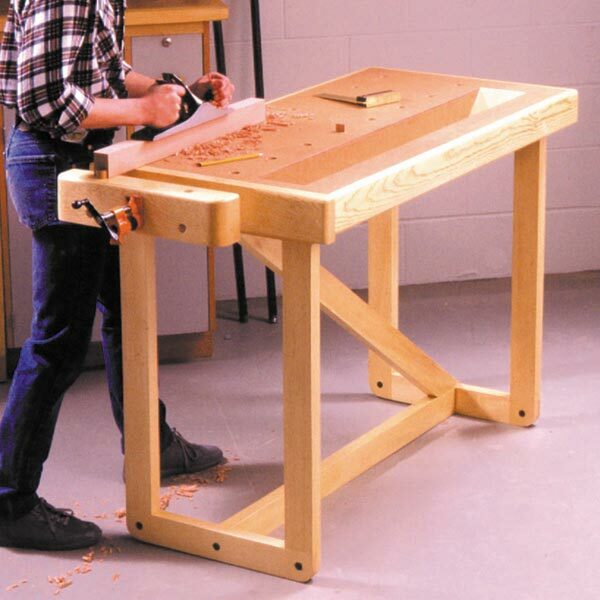 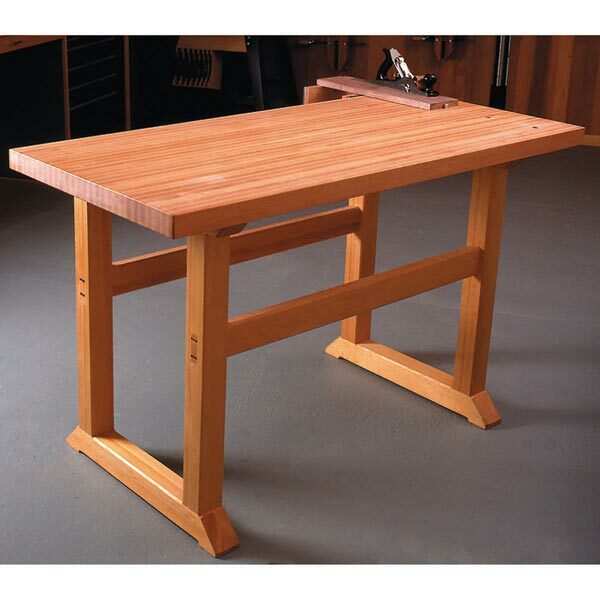 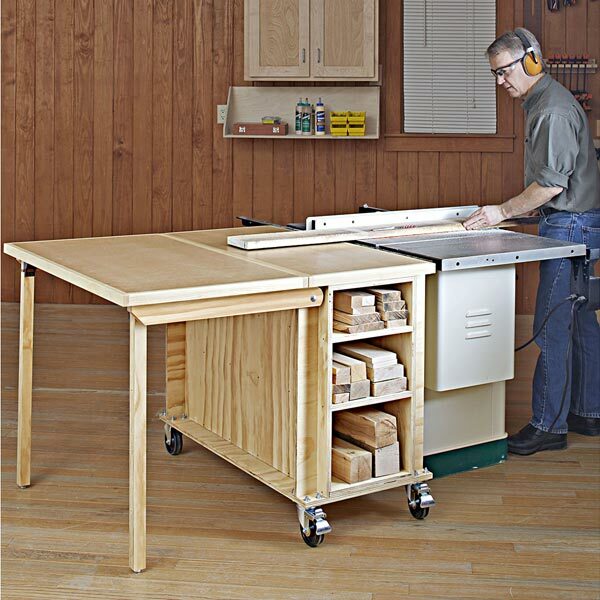 That's the beauty of this bench: It's a sturdy workbench, a dead-flat 4'-square assembly table, and it can even serve as a tablesaw outfeed support. 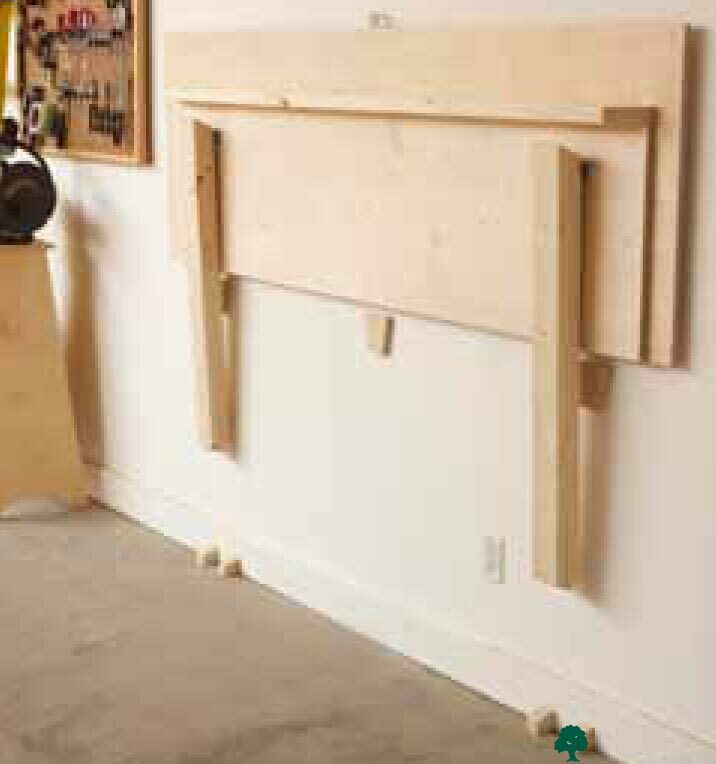 Overall dimensions: 48" wide x 48" deep by 34" high (unfolded); 18" wide x 48" deep x 55" high (folded).